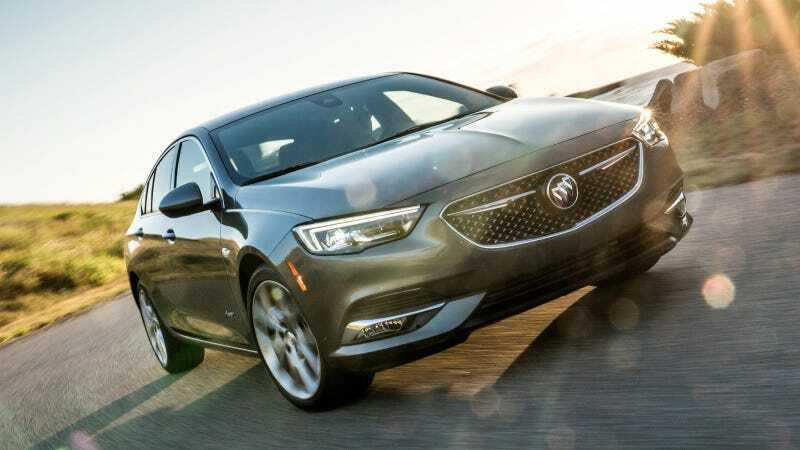 The Buick Regal, you may have forgotten, is on sale in the United States as a handsome five-door hatchback or wagon. Now there’s a luxury Avenir trim that fixes something I think even Buick knew was wrong with the car: the seats. Try to find pictures on Buick’s website of the Regal’s seats. You won’t find anything in the car’s 18-photo gallery. You won’t find anything in the car’s dedicated interior page. You won’t find it in any press photos of the car. When I first got in, the seats in the TourX seemed so stiff that I worried they would be uncomfortable on the longer journey I was about to take it on. But, 300 miles later, I had no complaints. Obviously, these were no Volvo seats (few are), but they were supportive over a significant distance and no part of my body went to sleep after sitting in them for hours. Ah, yes, function over form. That great calling card of luxury feel. Often I recline in my concrete living cube, take a sip of tepid hose water and marvel at my luxurious existence. In any case, Buick has been rolling out a new top trim called Avenir on its models and they’ve been selling well, as Forbes reports, and now it’s time for that to come to the Regal. What this means is your Avenir seats are now...quilted. Nice. It looks like these seats are just as not-uncomfortable as before, they just don’t look like they’ve been poached from a dentist’s waiting room. Pricing is unannounced, but it can’t be too much for quilting on the seats, stitching on the headrests, new wheels, and a new mesh for the grill. The Avenir trim costs about five or six grand over the next-highest trim on the current Lacrosse sedan and Enclave SUV, if you’re curious. Honestly, the Regal has deserved this from the start. Maybe now I’ll see some on the road.